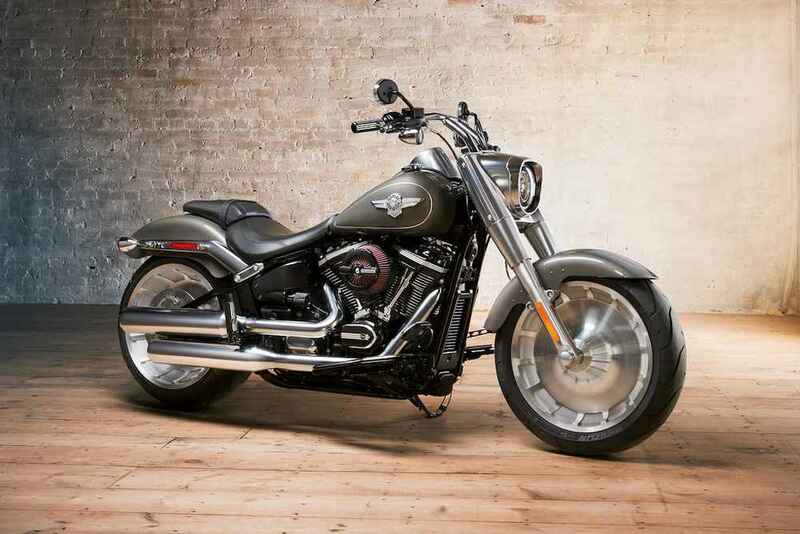 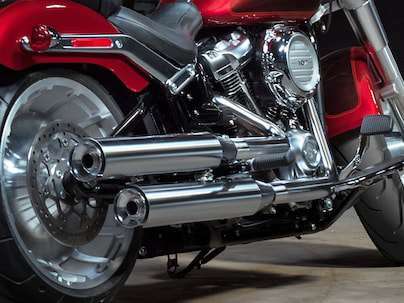 An all-you-can eat portion of sculpted satin chrome gives the Fat Boy® a look that'll make a big impact. 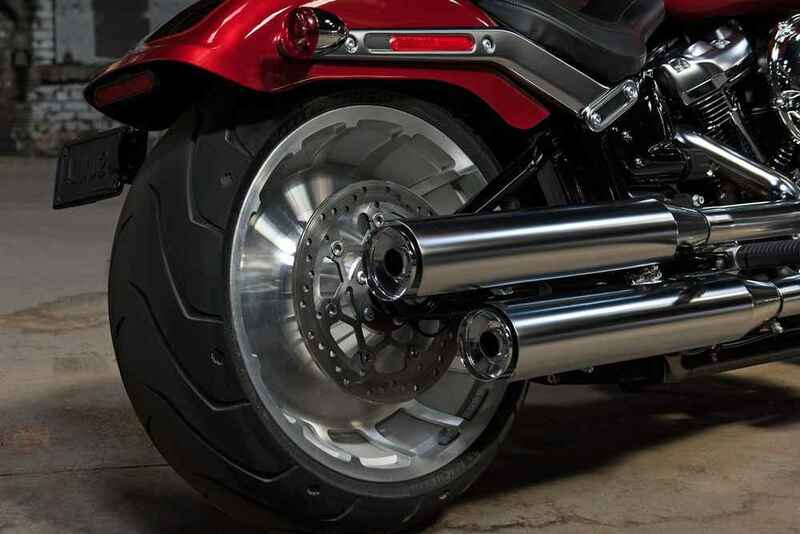 A muscular look thanks to all-new solid-disc Lakester wheels wrapped in the widest front tire we've ever offered from the factory at 160mm combined with a 240mm rear tyre. 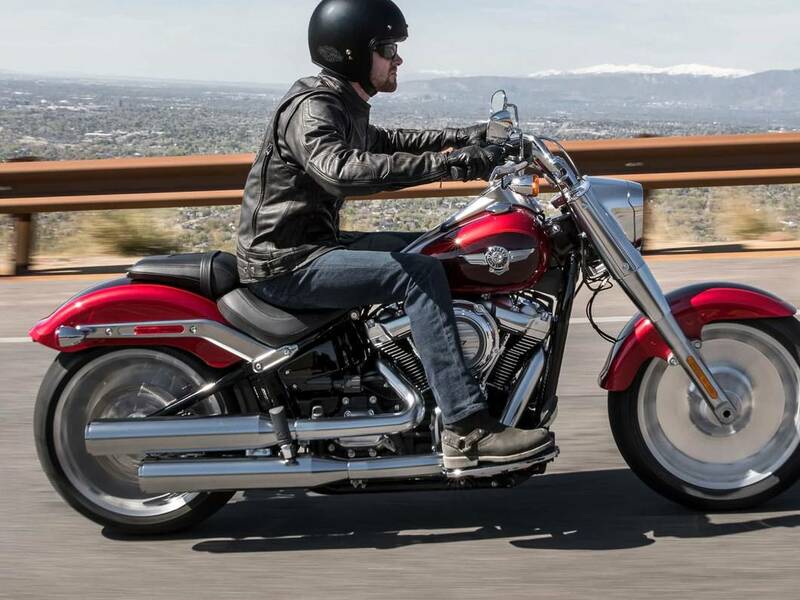 A lighter, stiffer frame (compared to the prior Softail® and Dyna® models) that takes the idea of form and function to a place it's never been before. 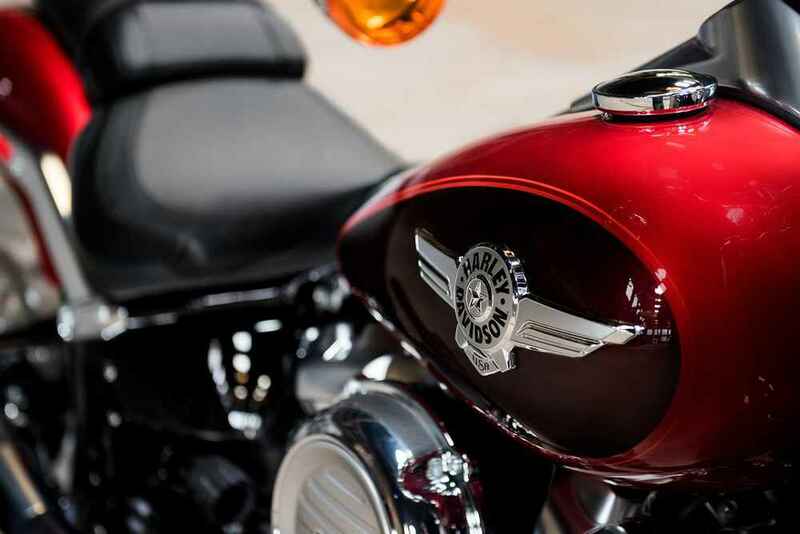 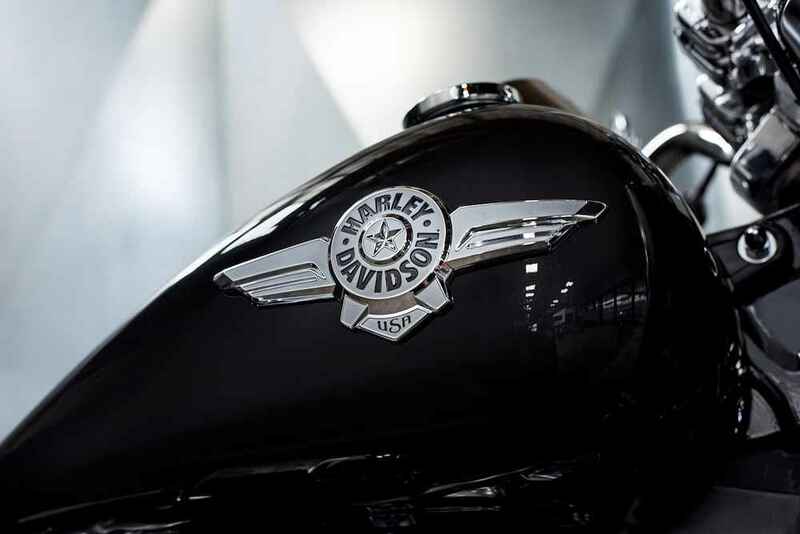 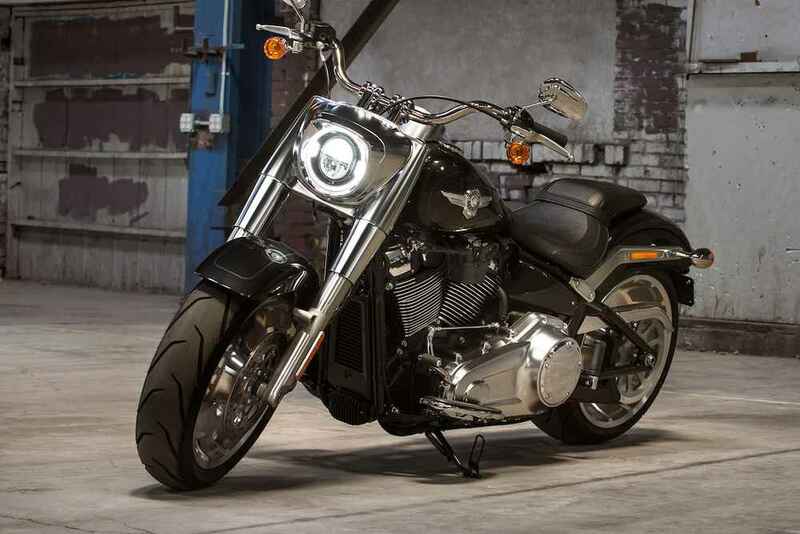 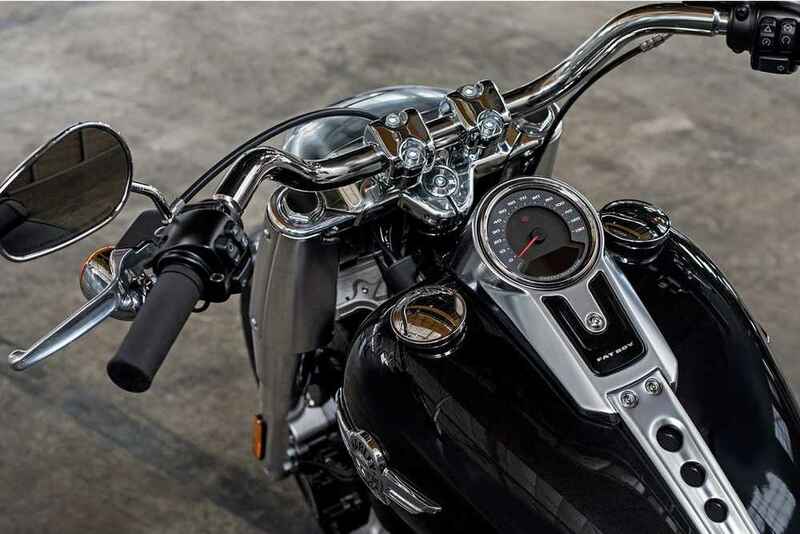 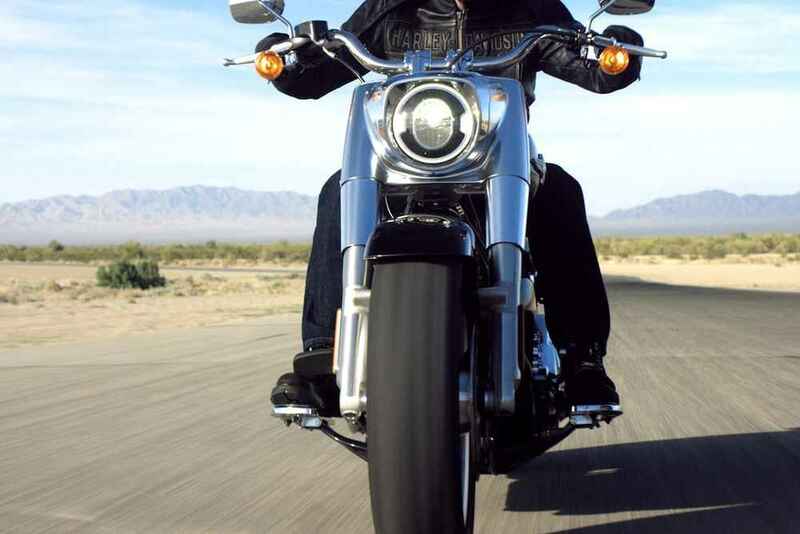 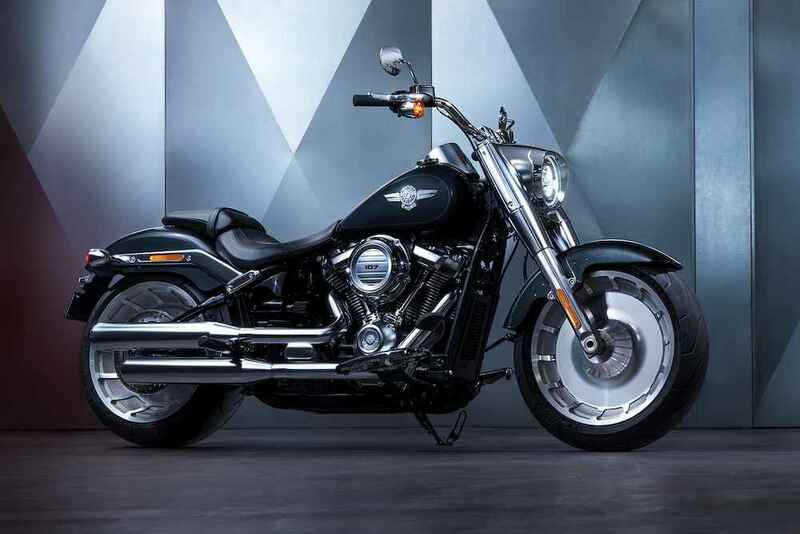 It's the look of a hard tail from a bygone era that delivers a thoroughly modern ride.